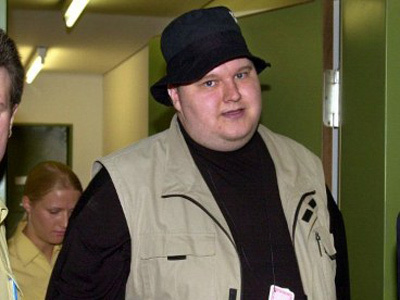 Prosecutors for the United States government have filed the necessary paperwork to begin the possible extradition of Megaupload’s Kim Dotcom to America. Dotcom, the 38-year-old founder of the file-sharing storage site, was only recently released on house arrest after serving five weeks behind bars in New Zealand where he had been residing. Dotcom was arrested on January 20 for his alleged involvement in an online conspiracy that authorities say stole hundreds of millions of dollars from the entertainment industry. Last month authorities in New Zealand awarded Dotcom bail, a decision which prompted US officials to file an appeal. The judge overseeing the case dismissed that request, however, and now Dotcom will await an extradition hearing, expected for this August. A spokesperson for New Zealand’s Ministry of Justice said Monday that the court had received America’s extradition request on Friday at Auckland’s North Shore District Court, although the court says it will not be publishing the details of the papers at this time. Crown Law, legal advisors to the New Zealand government since 1875, are handling the case on behalf of the American authorities. 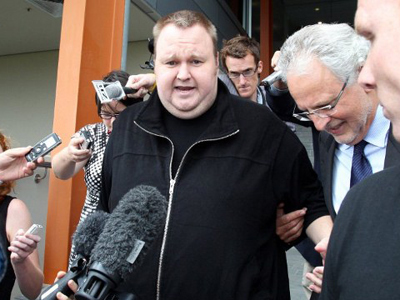 The group had but 45 days to file the extradition after the January 20 raid that resulted in the arrest of Dotcom. Friday’s filing fell just shy of that deadline. 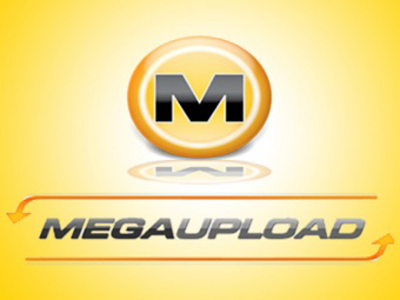 American authorities attest that by operating Megaupload.com, Kim Dotcom and his associates managed to swindle $500 million from the music and movie industry by infringing on the copyrights of material illegally shared on the site. The US is expected to lob a series of charges against Dotcom, including racketeering, which would carry a 20-year prison term. Three other associates allegedly to be involved in the website have been tied to the case as well. Speaking to New Zealand’s 3news last week, Dotcom said that the high-profile raid on his home and the subsequent arrest was politically motivated and charged that the US is wrongfully going after his while letting Google and YouTube get away with essentially the same practice. “If you read the indictment and if you hear what the prosecution has said in court, at least $500 million of damage were just music files and just within a two-week time period. So they are actually talking about $13 billion US damage within a year just for music downloads. The entire US music industry is less than $20 billion,” explained Dotcom. “So it's really, in my opinion, the government of the United States protecting an outdated monopolistic business model that doesn't work anymore in the age of the Internet and that's what it all boils down to,” he added. 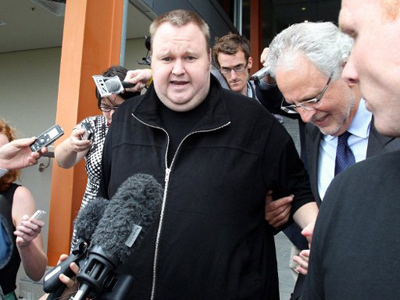 Dotcom had previously told reporters that he would fight any extradition charges and was confident that he would come out on top. In the aftermath of the shut-down of Megaupload, several similar sites have voluntarily thrown in the towel to avoid prosecution on par with what American authorities are attempting to do to Dotcom. Rick Falkvinge, of the Swedish Pirate Party, tells France’s Owni.edu that file-sharing will continue to thrive online, however, no matter what maneuvers authorities attempt. “People like to share, they want to share, and they will always find new ways to do so,” says Falkvinge. “You can’t stop them.